Limited Edition Red BlackBerry Z10 Shipping to Developers | BlackBerry Blast! Back in February BlackBerry created a limited edition red BlackBerry Z10 just for developers. 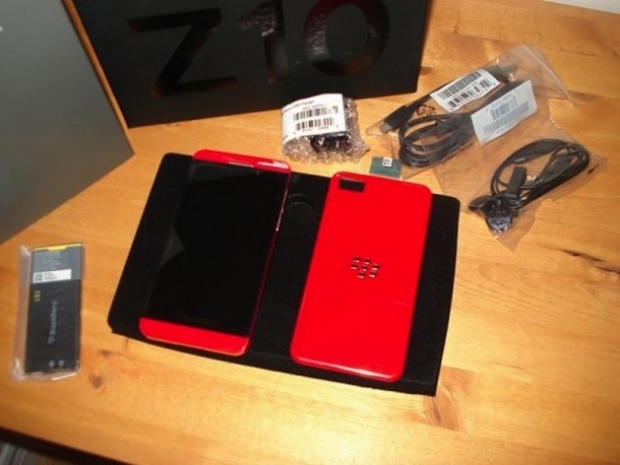 All developers who met certain criteria were eligible to receive their red Z10 and the device is now shipping. BlackBerry never released an official date for the red Z10 to ship, but said it would be about eight weeks after the official launch. That time is now, and BlackBerry developers have reported receiving their limited edition Z10s. 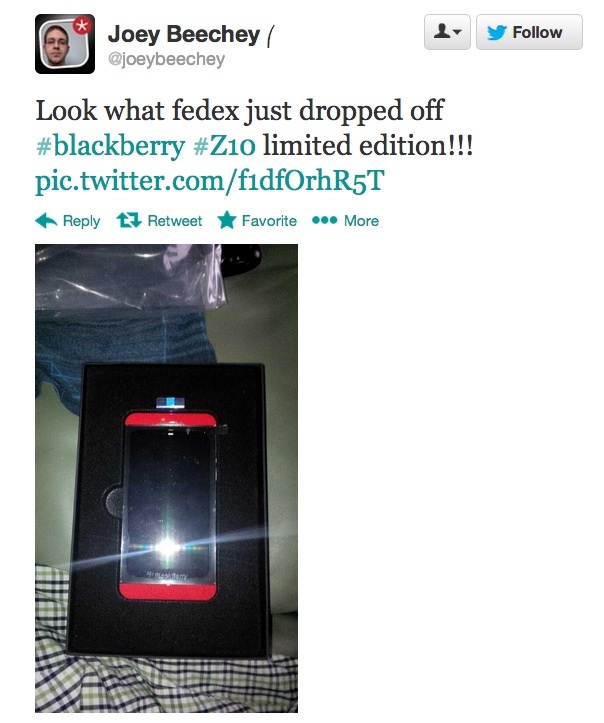 BlackBerry developer Joey Beechey tweeted a picture of his red Z10. The red BlackBerry Z10 is truly a limited edition as BlackBerry only made 12,000 units.